How Many Firefighters Died on 911? Our hero firefighters exhibited levels of courage on 911 that are beyond compare. 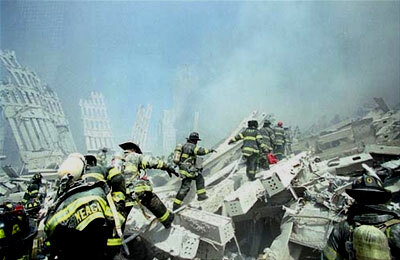 These courageous heroes rushed to the Twin Towers, and went up the stairs that everyone else was going down. And they did no hesitate. NYPD firefighters are among the best in the world. And they performed their duty at the highest level possible that day. Sadly, we did lose some of our heroe firefighters on 911. The official count is 343. 343 hero firefighter angels who are now in Heaven. And God bless their families.